Picture a graceful suspension bridge stabbing across a cove of calm, blue-green water, a grassy area large enough for BBQs, cricket, footy and sunbathing (all at the same time), giant trees huddled around the perimeter with thick canopies to protect young reddening shoulders, a state-of-the-art playground with all the swings and roundabouts you could ever need, a small café doing a brisk trade, a beach, knee-deep water for 40m, interesting crinkly edges for safe snorkelling, a shark-net at the Harbour edge where sailboats and other watercraft go about their business, a spot from which to fish, paths and walkways connecting you with other fascinating bays left and right, a healthy number of other kids to play with or mums and dads to chat to – and place it all less than 10km from the heart of the Sydney CBD. It’s called Parsley Bay and it’s hidden (really, really hidden) between Watsons Bay and Vaucluse. Good luck finding it, but once you have you’ll never go anywhere else for your perfect family days. 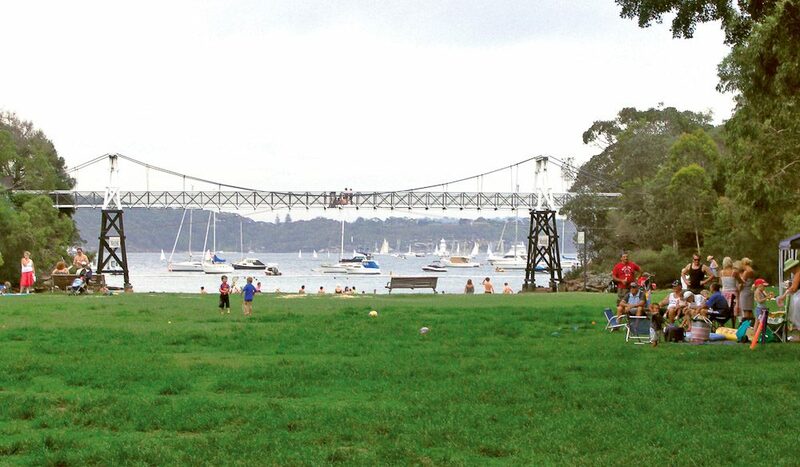 WHERE: In the eastern Sydney suburb of Vaucluse, there’s limited parking for Parsley Bay Reserve at the end of the narrow Parsley Bay Rd and Horley Ave, and further access on foot from The Crescent, Hopetoun Ave and Horler Ave.
DID YOU KNOW? : Parsley Bay was named either for a hermit called Parsley who lived in a cave there, or by First Fleeters in 1788 who plucked a parsley-like plant there to combat scurvy. We prefer the hermit story.